Clinical Professor Erika Buell, who brings broad experience advising start-ups and technology companies to her teaching in the areas of entrepreneurship, financing, and transactional law, has been named director of Duke Law’s Law & Entrepreneurship Program. The Law & Entrepreneurship Program prepares students to advise, create, or lead start-up companies and other innovative ventures. The program, which launched in 2010, builds on Duke Law’s strengths in the fields of business law, intellectual property, and innovation policy as well as Duke University’s commitment to entrepreneurship and connections to the vibrant entrepreneurial community in Durham and the Research Triangle. It offers two degrees – a one-year LLM in Law & Entrepreneurship for previous law graduates and a dual JD/LLM in Law & Entrepreneurship that can be completed in three years – as well as networking and career development opportunities. Buell has taught students in the program since 2011, including the courses Advising the Entrepreneurial Client, Negotiation, and Contract Drafting: The Next Generation. 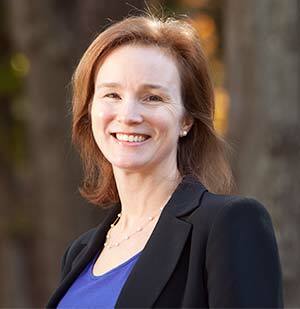 She served as co-director of Duke Law’s Start-Up Ventures Clinic in 2011. Before coming to Duke, Buell served as in-house corporate counsel for payments startup Revolution Money from its early round of financing through its 2011 sale to American Express for $300 million. In her role, she handled employee equity issuances and strategic alliances and also advised on tax, corporate structure, and board and other corporate governance matters. Buell previously worked as an in-house lawyer focusing on intellectual property issues at Computer Sciences Corp. in Austin, Tex. She began her career advising both private and public clients during the technology boom of the late 1990s as a corporate and tax associate at Hale and Dorr in Boston (now WilmerHale). She is a graduate of NYU Law School and Colby College. Buell succeeds Kip Frey ‘85, who has been named Duke’s vice provost for innovation & entrepreneurship and director of the campus-wide Innovation & Entrepreneurship Initiative. Frey, a well-known entrepreneur and venture capitalist who has been a professor of the practice of law and public policy at Duke for seven years, will continue to teach in the Law & Entrepreneurship Program. "There couldn't have been a better choice to lead the Law & Entrepreneurship Program," Frey said. "Erika is a distinguished practitioner, her students revere her, and she has ultimate credibility in the entrepreneurial community. She will do a fantastic job and make the program even stronger."